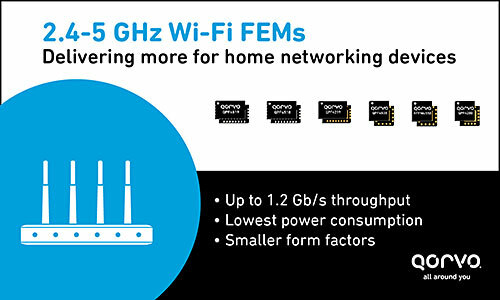 Qorvo® (Nasdaq:QRVO), a leading provider of innovative RF solutions that connect the world, has introduced a new family of 5 GHz and 2.4 GHz Wi-Fi Front-End Modules (FEMs) that pave the way for smaller, more energy-efficient wireless routers, gateways and other networked devices in the home. The seven new FEMs support high-bandwidth throughput with minimal power consumption in a small form factor and maximum reliable range. With more than 1.2 Gbps throughput per stream, the 5 GHz FEMs offer the highest data rates possible for delivering a new generation of home Wi-Fi applications that expand capabilities to the consumer. 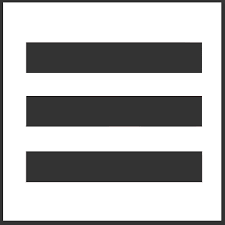 This includes Quantenna’s True 8x8™ QSR10G Wi-Fi platform – the world’s first 802.11ac 10G Wave 3 Wi-Fi product line. The new Qorvo FEMs support the latest generation of 802.11ac and Wave 2 1024QAM home Wi-Fi products, and consume 2 watts less power than similar products available today. This is enough to eliminate the fan from some Wi-Fi networking devices, resulting in reduced power consumption and size. The 5 GHz FEMs are available now for sampling; the 2.4 GHz models will be available in first quarter 2017. The table below outlines specifications for the new Qorvo Wi-Fi FEM family.